Front runner in the innovative line of in-ear monitor earphones by SoundMAGIC. Professional sound quality that will not break the bank. Balanced armature drivers have been incorporated in the PL50. Using balanced armature drivers in the construction produces more sound in less space. The sound signature of the PL50 delivers an accurate sound permitting you to hear every detail of music with in a light earphone housing. Combining an ergonomic, professional in-ear design with little weight makes the PL50extremely comfortable to wear. Comfortable optional over-ear guides make sure the PL50 sit securely in your ear in any activity. Invigorating and clear sound of the PL50 is also assured as the over-the-ear guides help reduce microphonic noise travelling up the cable. External noise is kept to a minimum due to the sound isolating in-ear design of the PL50allowing for undiluted listening pleasure from the high to low frequencies of the sound spectrum. When not in use, the PL50 can be stored in the supplied storage case. 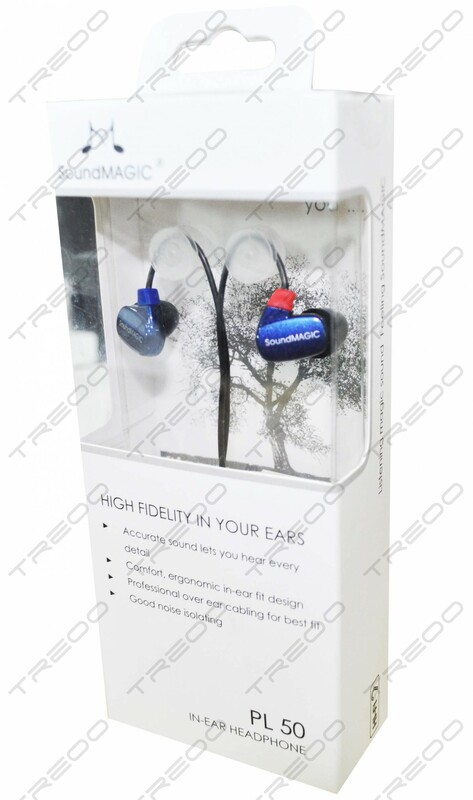 Let SoundMAGIC take you away with the inspiring PL50 earphones! 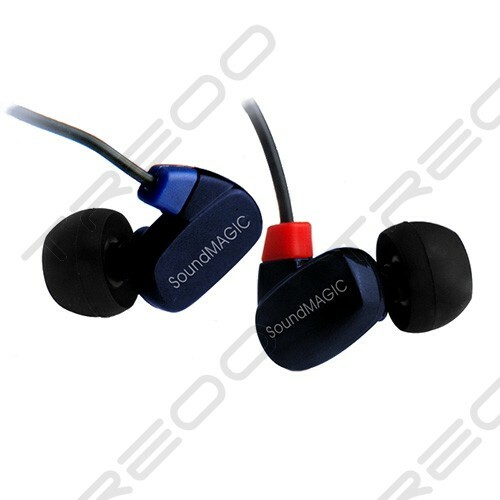 While maintaining value for you, SoundMAGIC earphones utilise quality components that can be found in more expensive earphones. Using balanced armature drivers deliver an accurate sound permitting every detail to be conveyed as it is meant to be. Utilising a well-built housing with a solid finish, the PL50 earphones are built to last. Ergonomically designed to sit perfectly in the ear canal and fit comfortably without falling out. With over-ear cable innovation for a sure fit combination. In-ear design coupled with angled nozzles and the right eartips seal music in and leaves unwanted noise out. Resulting in lower volume requirements, this design allows you to protect your hearing from damage loud music can cause. Bundled in the box you will find silicon and foam eartips in different sizes including XL silicon eartips to find the perfect seal. Further accessories include over-ear cable guides, cable clip, and a protective storage case.